Thanks for your interest in the Office of Ethics and Compliance Manager, Canada position. Unfortunately this position has been closed but you can search our 749 open jobs by clicking here. Bachelor degree required. Finance, Audit, Business, Legal or equivalent work experience strongly preferred. Ability to work in multicultural cross-functional teams. Strong analysis and problem-solving skills. Strong verbal and written communication, including fluent command of English and French. Ability to meet tight timelines in a fast pace evolving environment. Ability to build and maintain collaborative relationships in matrix work environment. Minimum of 5 years of professional experience with, or exposure to, business functions such as compliance, finance, legal, regulatory affairs, government affairs. Pharmaceutical and Global industry experience preferred. 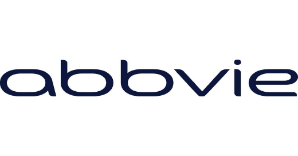 AbbVie is an equal opportunity employer and encourages women, Aboriginal people, persons with disabilities and members of visible minorities to apply.